Heard lots of good things about Before I Fall and yay bargain books :D Hope you enjoy! I got Before I Fall awhile back but haven't had the chance to read it yet. Hopefully it's a good one. Nice! I hardly ever find bargain books these days! Glad you found some you were wanting! Happy Reading! Oooo forgot to mention Before I Fall! Can't get enough of Lauren Oliver at the moment :). Some great books here, Mel. You know, I still haven't read anything by Lauren Oliver, which is insane! I've heard absolutely wonderful things about her books, and she writes both YA and MG, and I love those type of books. I think I want to start with her MG books. I recommend Liesl & Po! :) The drawings are adorable. Before I Fall sounds good, I've heard lots of positive reviews about it! I hope to get it from the library at some point. Enjoy! 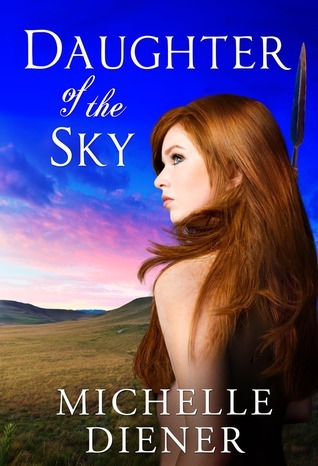 OMG, I didn't think of adding other books by Michelle Diener on my wishlist, and I'm doing it now. I loved her The Emperor's Conspiracy and hope to read everything else she's ever written soon! ;) Enjoy all your lovely reads, Mel! Before I Fall is incredible! I can't wait to see what you think of it!! I hope you enjoy Before I Fall Mel! It's one of the best YA books I read this year! 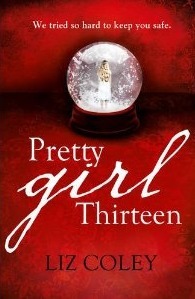 Pretty Girl Thirteen sounds interesting, hope you enjoy it! And I love finding books in second hand shops that I've been searching for - it's a good feeling! :) Happy reading. Before I Fall is amazing-hope you love it too and that you enjoy all the books you picked up this week! Before I fall looks so good! 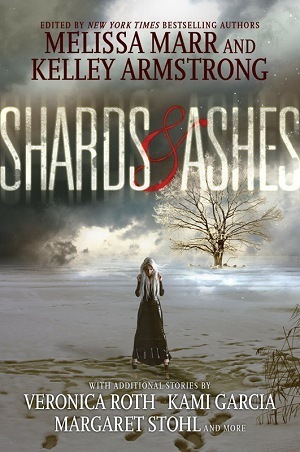 I need to read Shards and Ashes as I love Kelley Armstrong! Oooh, I've heard such great things about Pretty Girl 13 and I'm really curious about Shards and Ashes. I hope you enjoy them! LOL...Love how you went from one book to four...it's amazing how they sneak in on us:) Enjoy your new reads....Before I Fall was a great one...haven't read any of the others! Before I Fall is a good read and I've heard great things about Pretty Girl 13. Enjoy all of your books! I LOVED Pretty Girl-13! It was really different and had a fascinating portrayal of mental health. I've been meaning to get to Before I Fall also, but the shiny new books keep distracting me, haha. Keep going with the will-power not to request anything from Netgalley - well done! I've read all three books in the Delirium series and I'm not that impressed with it, but I still want to read Before I Fall anyway since it's a standalone and one of Lauren Oliver's first young adult books. Can't wait to see what you think of it Mel! I really want to read Before I Fall. It's been on my to-read list for absolute ages! Enjoy your new books! Happy reading! Before I Fall is one I've been wanting to read for a long time, I've heard it's quite good! I hope you enjoy it and your other new reads this week! Before I Fall was one of the first contemporaries I read that I actually enjoyed. I am also jelly of Pretty Girl 13-I've seen some good reviews for that one! I enjoyed Before I Fall and hope you do too. ooh nice book haul!! Before I Fall was a really fun read! Can't wait to read your reviews for all the books! Have fun! Yay for Before I Fall! I haven't read it yet, but lots if people really liked it, and I myself LOVE Lauren's Delirium series, so I definitely have to check it out soon. :) And I can't wait to hear your thoughts on Pretty Girl-13! I actually interviewed Liz Coley sometime back, and that made me want to read her debut all the more. Enjoy all your new books, Mel, and hope you have a great week! I haven't read Lauren Oliver's other books besides the Delirium series. Pretty good haul, and YAY on winning books. Before I Fall was really emotional! Lauren writes really fantastic endings so I hope you enjoy! OH pretty girl 13---amazing but disturbing. So emotionally hard to read. Before I Fall is so good!! I hope you enjoy! I've heard lots of people saying Before I Fall is good. Hope you enjoy it! :-) And congrats on those wins! Shards & Ashes looks interesting. Big congrats on managing to resist NetGalley too! That's hard! 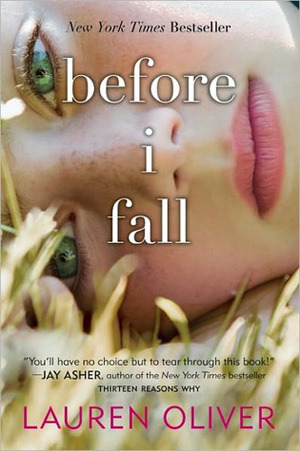 I read "Before I Fall" a while ago and quite liked it!